London, UK -- A Buddhist arts festival will be held in London to coincide with the opening of the first gallery for Buddhist sculpture in the UK. The Many Faces of Buddhism, a series of arts and cultural events drawing on Buddhist cultural traditions, will be presented by the Robert HN Ho Family Foundation, from April 25 to May 17. The festival celebrates the opening of The Robert HN Ho Family Foundation Gallery at the V&A museum, Kensington, on April 29. The programme will include dance, visual arts, talks and films. 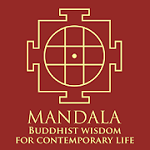 Highlights include a day of rare Buddhist dances, held at the V&A on May 1 from 11am to 9pm, the International Buddhist Film Festival in London at cinemas around London from May 7 to May 12, and the International Forum On Buddhism And The Arts Today at the V&A on April 25, 2pm to 5.30pm. The Robert HN Ho Family Foundation Gallery at the V&A will display highlights from the V&A's world-class collection of Buddhist sculpture, ranging from monumental Chinese temple sculptures to small portable gilded Buddhas. About 50 sculptures created by master craftsmen between 200AD and 1850 will go on show in the new gallery to explore how the Buddha has been represented in Asian art. The gallery will also tell the story of the life of the Buddha and the spread of Buddhism from India to the other regions of Asia. Robert YC Ho, director of the foundation and the exhibition, said: "We are proud to present The Many Faces of Buddhism, the first ever Buddhist arts festival in London, drawn from and inspired by Buddhist traditions. "The series of events form part of The Robert HN Ho Family Foundation's ongoing commitment to instil and encourage a deeper understanding of Buddhism and its basic messages of interdependence and compassion through arts and culture." The Robert HN Ho Family Foundation is a Hong Kong-based philanthropic organisation committed to fostering Asian arts and culture. For more information about the organisation and the festival go to www.rhfamilyfoundation.org. 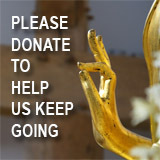 For more information about the V&A including how to buy tickets for the Buddhist arts festival events it is hosting visit www.vam.ac.uk. The Buddhism And The Arts Today Seminar is £15 or £10 for concessions, while the other events at the V&A are free.